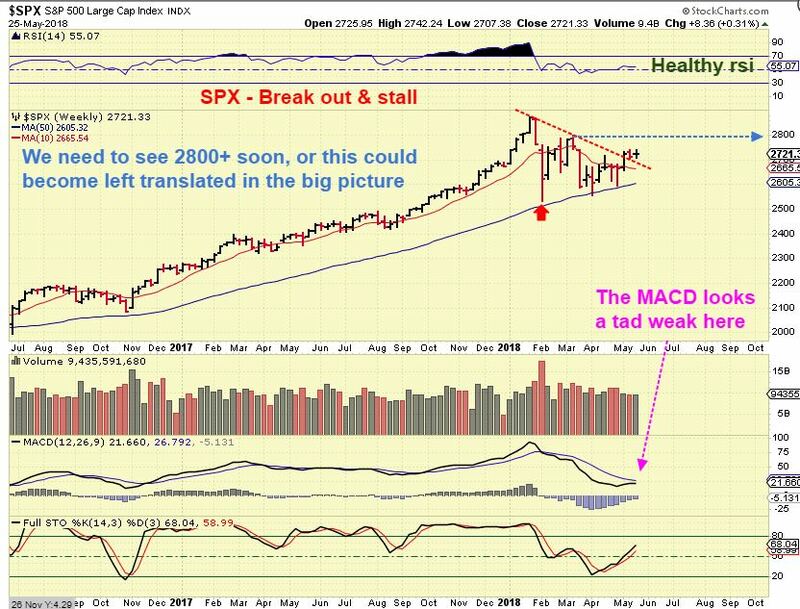 SPX TUESDAY - Break outs often 'back test' the break out, so I mentioned that this drop Tuesday was possibly just a back test. General Markets would be a BUY with a tight stop at this point. ( UPRO, TQQQ, ETC). SPX YESTERDAY - SPX broke back above the 10sma and that was likely a perfect back test. This is a buy, but we really want to see this move higher quickly. That may have been a 1/2 cycle low. 1. If this reversal at the 50sma holds here, this is a nice set up as a low risk entry. It looks like a back test of the recent break out too. 2. If it closes below the 50sma, I would be concerned that things could be breaking down and would become more cautious until things settle down. We have really been focusing on whats going on in the Precious Metals Sector lately, so with that in mind, I am releasing this weekends Premium Weekend Report to the public, enjoy! 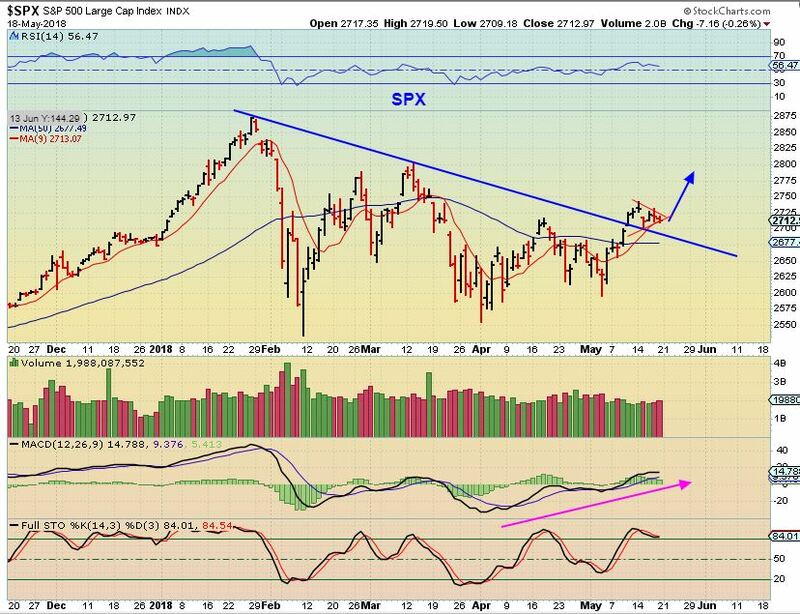 SPX - We discussed the break out from the down trend / triangle as bullish 2 weeks ago, but we really need some upside to increase the big picture bullishness. An ICL in Feb formed and I'd like to see new highs within this intermediate cycle. 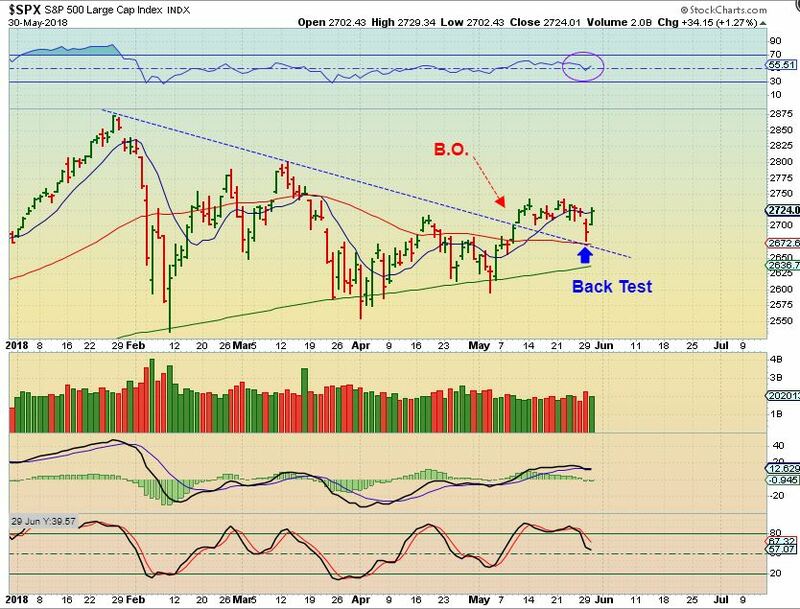 This is currently a bullish set up, as discussed in the weekday reports. 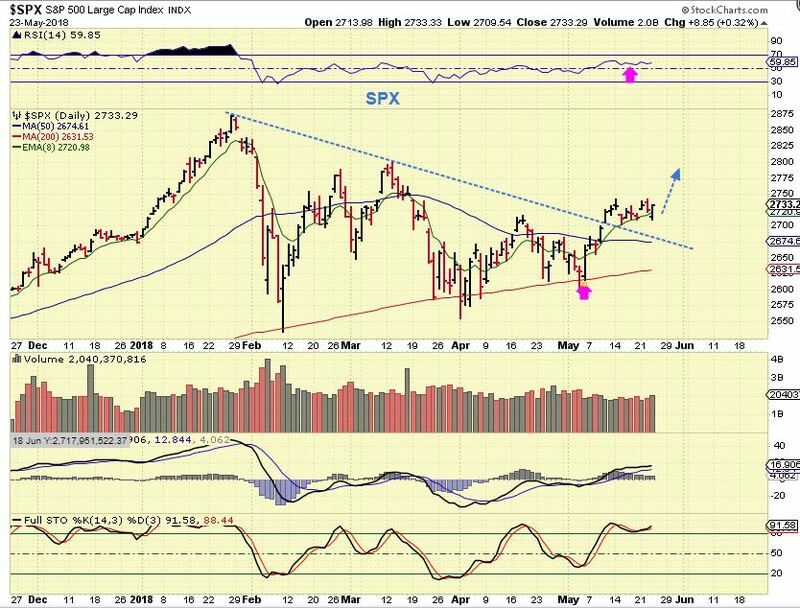 SPX #1 - We saw the break out & Bull flag. This was Bullish. 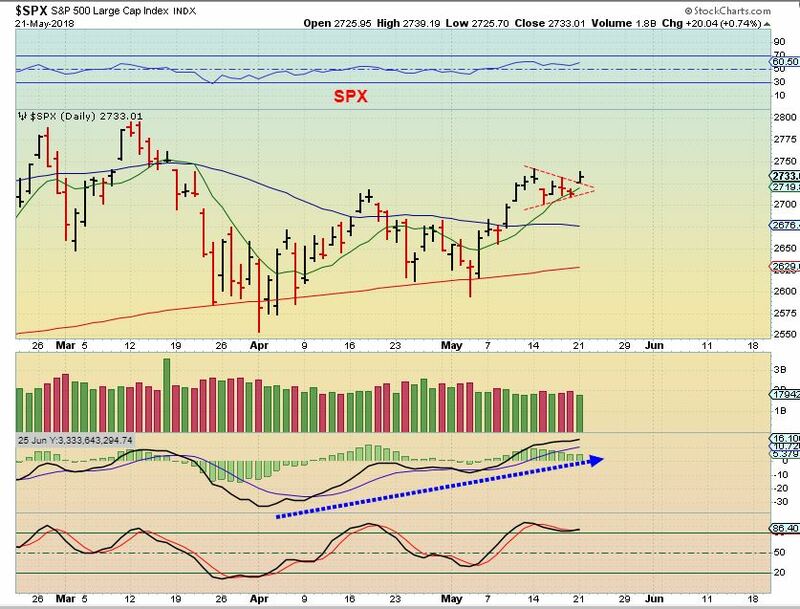 REVIEW: SPX looked like a Bull Flag Last Friday, I expected a break higher. After that break higher, This is copy pasted from yesterdays report. We should expect a possible gap fill. 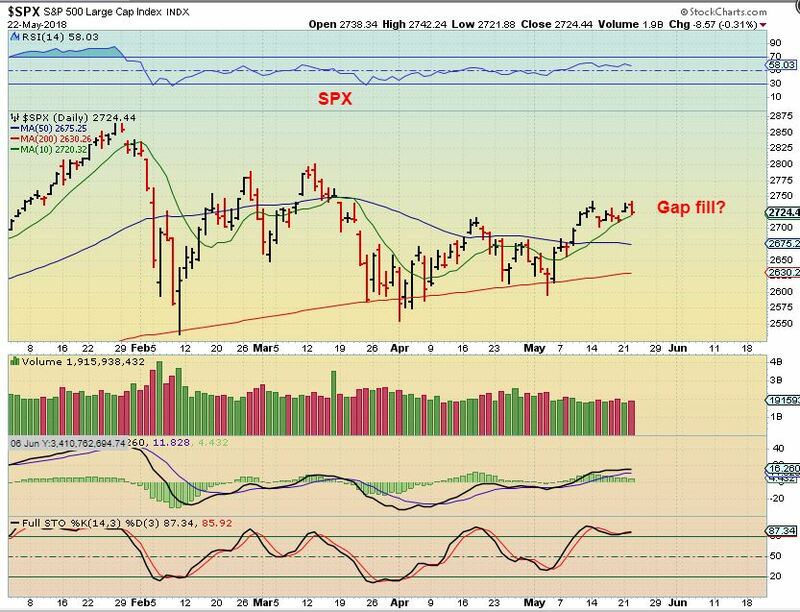 Markets could 'stall' to fill that gap. 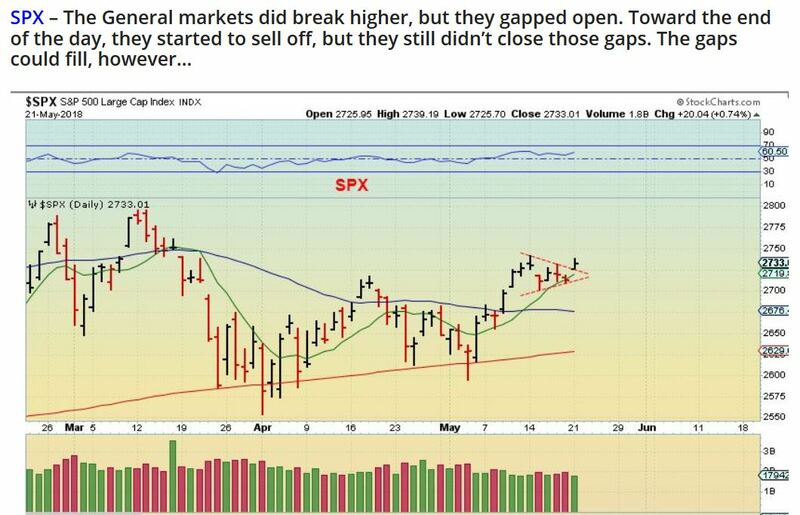 SPX - The markets did move higher in the morning and then closed down, partially filling the gap. I am seeing short term weakness in some of my other indicators (Not shown), so I'm wondering if this is going to tag that 50sma again? The weakness at this point is nothing too serious and a push higher will help turn those back upward. 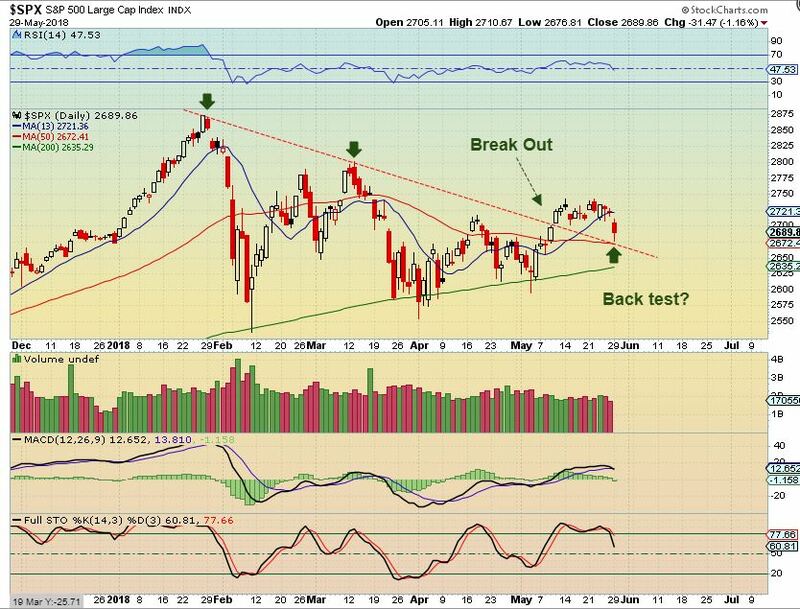 It is Friday, the last trading day of the week, so let's review a couple of points of interest in the Markets, and then discuss a few more stock picks. 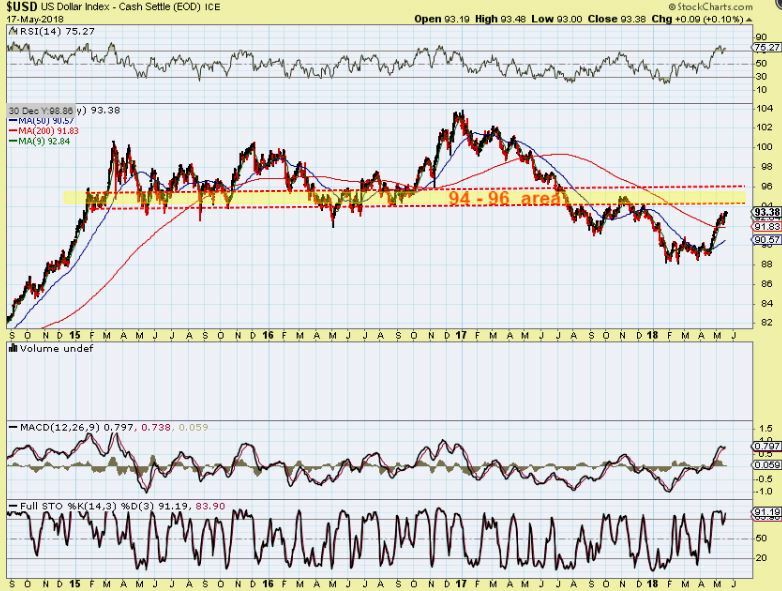 USD - The USD is heading toward resistance, but it can continue a bit higher. I will discuss this further in the weekend report.